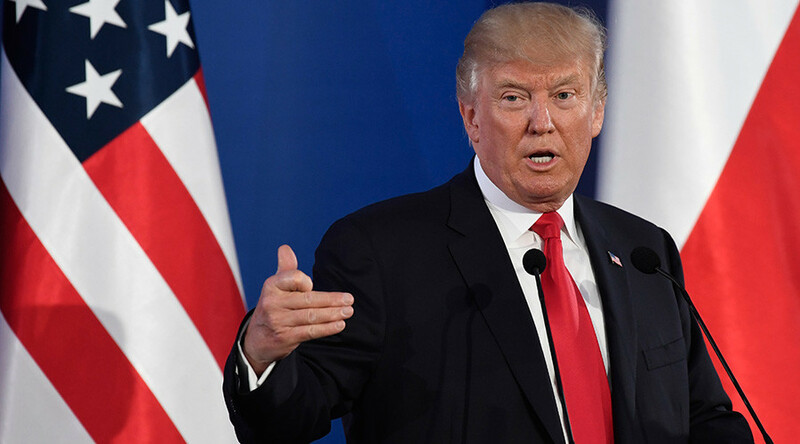 “It's a shame they're behaving this way – they're behaving in a very, very dangerous manner and something will have to be done about it,” Trump said in a news conference Thursday with Polish President Andrzej Duda. 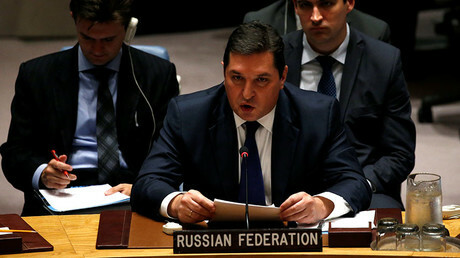 Earlier on Thursday, Moscow dismissed the US-led calls at the UN Security Council to step up sanctions. Moscow and Beijing urged Washington for more “creative” diplomacy. On Tuesday, Pyongyang launched a missile of a new type and from a different location, as compared with the previous launches, according to the Pentagon. The missile type was something that the US top brass admitted "they haven't seen before", and the launch was allegedly a threat to shipping in the Sea of Japan, as well as aircraft and satellites in space, US Department of Defense spokesman, Captain Jeff Davis, said. Pyongyang claimed it had successfully launched its first intercontinental ballistic missile. 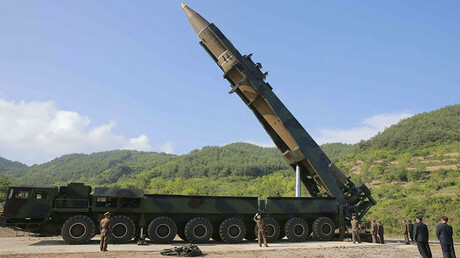 North Korea said it is capable of carrying a “large, heavy nuclear warhead” and is able to strike the US mainland. There are conflicting accounts of the kind of the missile in question – the Pentagon believes it was an ICBM, while the Russian Defense Ministry data referred to an intermediate range missile (IRBM), which flew some 535km, reached an altitude of 510km and fell into the Sea of Japan. North Korea said the missile flew 933km in 39 minutes, reaching an altitude of 2,802km. US missile defenses are capable of dealing with the “limited threat” posed by North Korea’s ICBM capability, the Pentagon said. Russia and China leaders have agreed on a joint initiative on Tuesday suggesting that North Korea should suspend its ballistic missile program, while the US and South Korea should put off military exercises in a bid to cool the tensions. “The Russian Federation and the Peoples Republic of China put forth a join initiative, based on Chinese proposed ideas of a ‘double freezing’ [of missile and nuclear activities by the DPRK and large-scale joint exercises by the United States and the Republic of Korea] and ‘parallel advancement’ for the denuclearization of the Korean Peninsula, as well as establishing a peace mechanism on the peninsula,” Russia’s deputy envoy to the United Nations Vladimir Safronkov said at a UNSC meeting on Thursday. The US Ambassador to the UN Nikki Haley said that Washington will “look at any country that chooses to do business with this outlaw regime.” Washington has singled out China as North Korea’s primary trading partner.